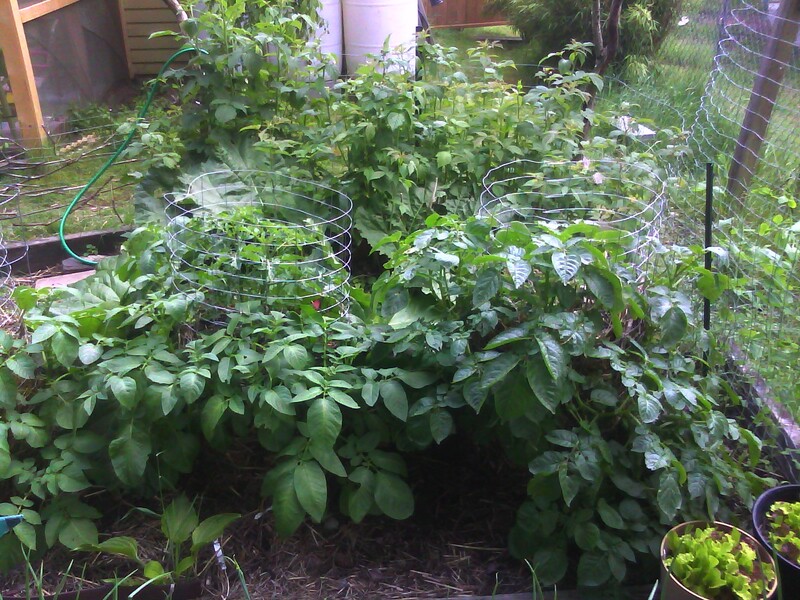 Apparently potatoes and tomatoes like each other. 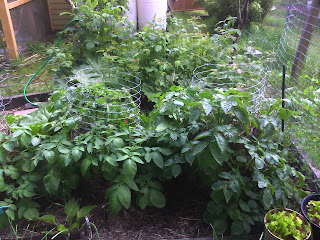 We planted tomatoes in the top of the potato silos and voila, happiness abound. 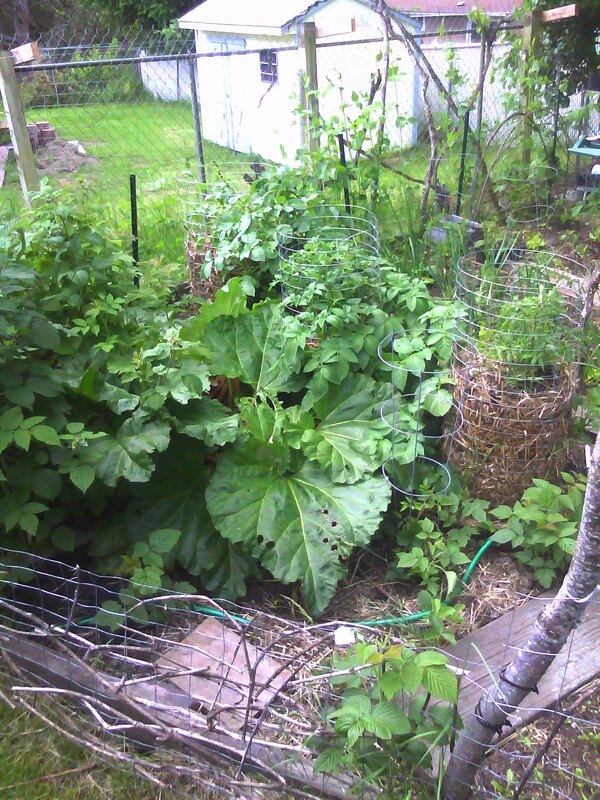 You will notice in the second picture the rhubarb that is ginormous. Some of the leaves are over 2.5 feet across.